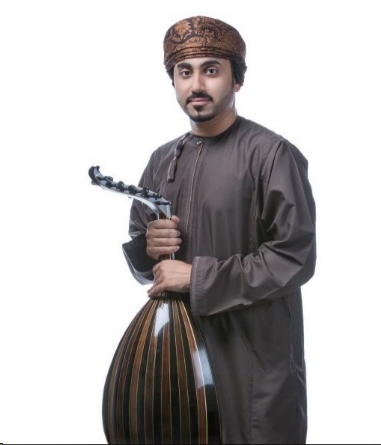 Ziyad Al Harbi is an Oud player, Composer and Singer from the Sultanate of Oman. Member of the Omani Oud Hobbyist Association and East Strings Band. Ziyad started his Music career since he was 6 years old as keyboard player, later started to play Oud and became one of the lead Oud players in Oman. Ziyad has contributed in representing Omani Culture and Music with over 20 international shows all over the world and State of Art stages including US (The Kennedy Centre), Australia, The Netherlands, China, India, South Korea, and various Arab and GCC countries. In addition to various local TV shows and stage performances in Oman including Royal Operah House Muscat, Muscat Festival, Salalah Festival, Shado Al Maqam Festival and Sehr Al Sharq recital. In 2014, he was awarded the Gulf Cooperation Council (GCC) Medallion “GCC’s Youth Musician” by the Prince of Kuwait SHIEKH Subah Al-Ahmed Al Subah. In 2015, he was also awarded by the National Youth Committee of Oman for his Musical achievements. In 2017, Ziyad was awarded by the Omani Oud Hobbyist Association as “The best member” for the years of 2015 & 2016. Ziyad was also selected among many artists from Middle East to perform the lead vocal and Oud Solo for “Sahara Al Arab Song” part of Sony Music and Land Rover joint project called MYLAND, MYMUSIC which represents the cultural heartbeat of Arabia. This was composed by the well-known Lebanese Music Producer Jean Marie Riachi. This initiative captured the signature sounds of the region to honor this land, its people and its culture. He was also the First Oud Player in the World who performs Oud in an Opera show called “THE OPERA” which is a new co-production by Royal Opera House Muscat and Palau de les Arts Reina Sofía Valencia. This was a new and an extraordinary operatic production that presented the history of this great art with Young singers from the Centre de Perfeccionament Placido Domingo sing well-known arias of the great composers together with Oud Performance led by the well-known composer and conductor “Maestro Steven Mercurio”. Valet parking, inc.- $65/drinks/Middle Eastern Buffet.